We ship on Monday, Tuesday and Wednesday using UPS Overnight, 2nd Day Air and Ground. All orders received after noon on Wednesday will ship on the following Monday. 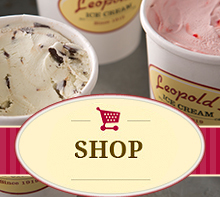 Shipping costs depend on the destination of your ice cream and how fast you need it to get there. Overnight starts at $50 and 2nd Day Air starts at $26.